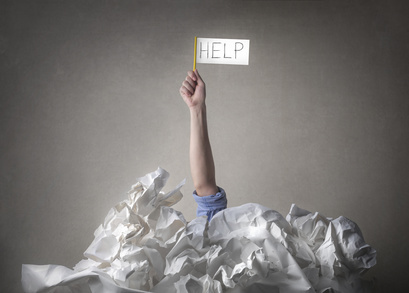 don't get buried under paperwork! We can’t over emphasise the importance of protecting both your business, your managers and your staff through putting in place practical and professional documentation such as contracts of employment and employment policies. You would probably be surprised by how many organisations neglect to sort the paperwork. But you probably wouldn’t be surprised by how much that can then cost those organisations in both time and money when employee issues arise. Across the many years of our experience at Jaluch there are always employees, contractors or job applicants who create issues or make complaints, so please don’t be complacent about the need to protect yourself and set standards. If you have documents you would like drafted or updated please call us for a quote. We can usually do it both cheaper and faster than your average employment solicitor! You’ll get your documents in plain English too so both your managers and staff can easily understand what is required. As a low-cost alternative, take a look at our template document website Docs Wizard. There is a wide selection of template contracts and polices, along with letter and other documents to help you manage employees. We have two annual membership options, essentials - £99 and premium - £249 (+VAT).